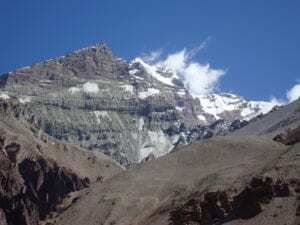 You are thinking to trekking to Everest base camp and climbing Island peak Here is all you need to know about climbing Island peak. I call it a climb, because that is exactly what it is. Here are all the things you need to know and need to apply to your preparation and journey to climb ISLAND PEAK. I have climbed Everest to the summit, helped people train to climb Everest, led over 35+ treks to Everest base camp. and climbed Island peak 15+ times. Check out our 2019 or 2020 climbing dates. 9). Read our Top 10 Tips for a successful Island peak climb. 10). Read our Top 11 Tips for when you are on the Everest Base Camp Trek. 14). What Insurance do I need for my Island peak climb. One of the most important elements of your preparation will be mountaineering skills. You do need to be competent in abseiling/ repelling using a figure of 8 and practicing moving on fixed lines. You also need to consider crossing ladders in crampons as some seasons you will have to cross crevasses on ladders. We do some training prior to going into Island Peak Base Camp but the more experience you have the better. The first thing you need to do is pick the right itinerary, there is no one size fits all and you need to have as much acclimatization in the critical points of the trek and climb You need 3 nights acclimatization in Namche Bazaar on the way up the trail. This is vital to a safe, enjoyable and success experience in a low oxygen environment. You also need a full training day in Chuckung so we can do ladder training. You also need 2 nights in Island peak base camp at 5,100m/ 16,732 feet and additional night at high camp 5,500m/ 18,044 feet. We carry up water, tents and all equipment and food needed for the climb. If you attempt Island peak from base camp you are increasing your level of fatigue when you actually need to energy to climb safely high on the mountain. Breathing techniques, low heart rates, excellent hydration and pacing are all really important to be safe and successful ascent of Island peak. You also need excellent physical conditioning to be able to walk up and down hills with a weighted back pack at high altitude. We can help you with this. DROP US AN E-MAIL today and get access to the people who have climbed Island peak many times.